Brasília is the contemporary capital of Brazil. With over 2.4 million residents, it is the country’s fourth-largest city. 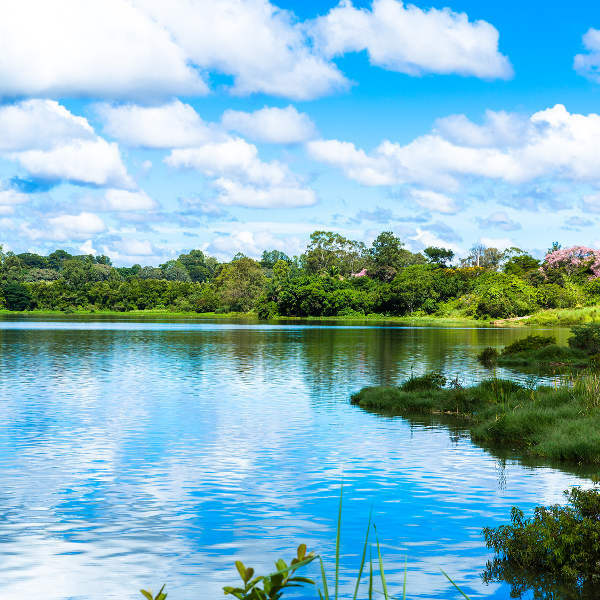 Brasília offers you a modern design with beautiful green spaces and lovely bodies of water. 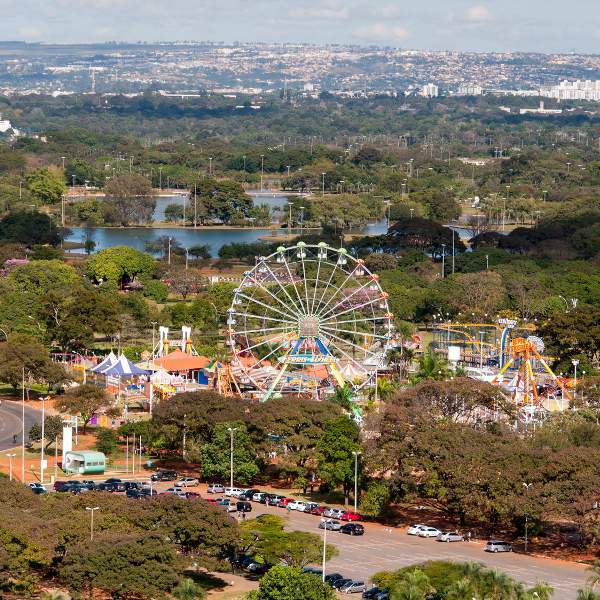 Discover this amazing and inviting destination with a range of attractions, including Juscelino Kubitschek Bridge, Paranoá Lake and Jardín Zoológico de Brasilia. Prepare yourself for a memorable holiday experience in Brazil, because cheap flights to Brasília are now available for a limited time! Brasília is the home of Brasília International Airport (BSB), which is a 15-minute drive, or 2-hour train ride, from the city centre. Brasília-Presidente Juscelino Kubitscheck International Airport serves numerous airlines, including LATAM Airlines, Azul Brazilian Airlines and Avianca Brazil. Popular connecting flights to Brasília depart from Johannesburg and Cape Town. Explore all the wonderful parks and bodies of water in and around the city of Brasília, such as the vast Parque Nacional de Brasília and man-made Paranoá Lake. A range of activities that are perfect for the entire family wait for you in Brasília. These can be found at the Jardim Zoologico De Brasilia and Nicolandia Center Park. Thanks to the creative efforts of Oscar Niemeyer, Brasília is considered an architectural masterpiece. 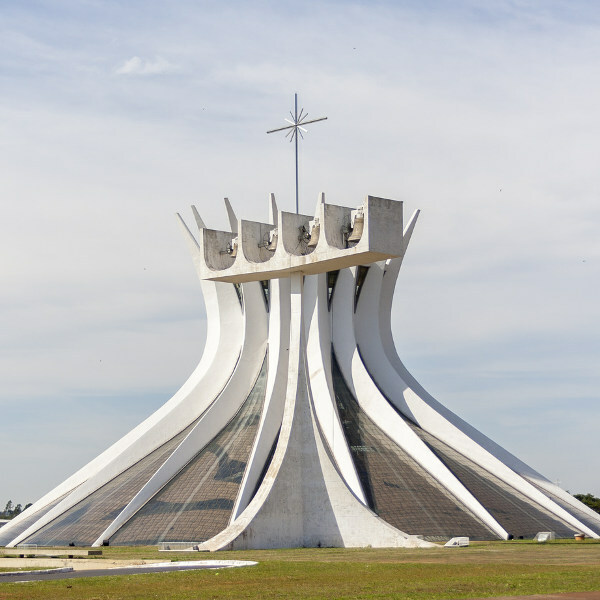 Gems include the Catedral of Brasília and Itamaraty Palace. Brasília experiences a tropical savanna climate, with a dry season (May – September) and wet season (October – April). The dry season is a good time to visit, as you can enjoy low rainfall (49mm in September) and warm temperatures (as high as 28°C). Although the weather is still warm from December to February (summer), rainfall is at its highest (284mm), and most of the locals are on vacation. It would be best to avoid the city during these months. Visit the capital of Brazil, Brasília, and discover a stunning environment filled with contemporary architecture and cosmopolitan style. From the air, admire this metropolis' unique design as a plane; with its wings being the residential areas of Asa Norte and Asa Sul, and the cockpit situated by the country’s political centre. Immerse yourself in the culture of Brasília, with its wide array of eateries and an energetic nightlife. To get the full experience, visit credible establishments like Mangai Brasília, Restaurante Asa Gaúcha, Velvet Club and Outro Calaf. While the capital is a landlocked destination, it features several bodies of water for you to refresh yourself during the blazing summer months. And true to its Brazilian heritage, Brasília is the place to enjoy festivals, such as the Brasilia Film Festival and the celebrations during Christmas. The light shows are dazzling! Compare several airlines, and book your cheap flights to Brasília online at Travelstart! You are not required to have a visa to visit Brasília for a period of 90 days. Simply check that your passport has a minimum validity of 6 months and 3 pages available for stamps. South African Embassy in Brasília. Before you leave for Brazil, make sure you’re up to date on all the routine vaccinations. Additionally, you will need to guard against diseases such as hepatitis A, hepatitis B, typhoid, malaria, Zika and yellow fever. Hepatitis A and typhoid are transmittable through contaminated food and water and hepatitis B is spread through sexual contact, contaminated needles and blood products. You can prevent malaria, Zika and yellow fever by guarding against mosquito bites. Rabies can be avoided by steering clear of stray animals. You should take the usual precautions when visiting Brasília, such as avoiding walking around at night (especially around the central bus statio) and keeping valuables safe and out of sight.